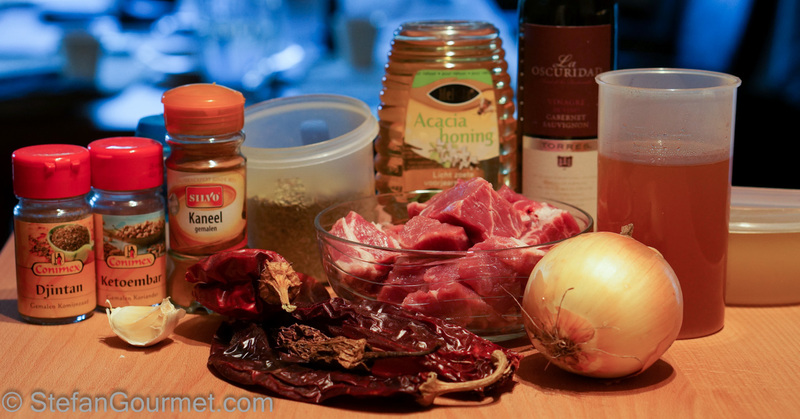 It was no surprise at all that the first recipe of 2014 on REMCooks.com was a chile recipe. 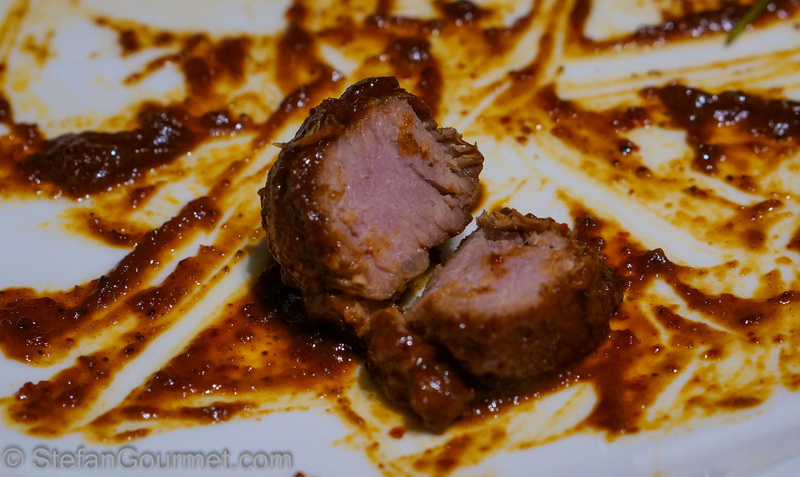 This pork dish from New Mexico seemed fairly straightforward and delicious, and I thought it would be nice to tweak it just a little and use pork stock and cook the pork sous-vide. 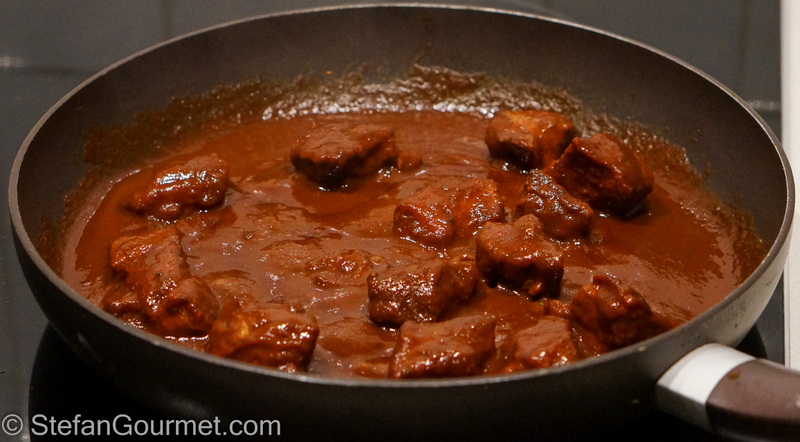 Pork shoulder is cooked in a sauce of dried chiles and spices. The first time I made the mistake of cooking it along with a smoked ham hock in the same sous-vide water bath, which imparted an unpleasant bitter aftertaste to the dish. I made it again and then it turned out delicious. Thanks, Richard! There are two advantages to preparing this sous-vide. The first is that you can prepare it on a rainy Sunday afternoon, stick it in the sous-vide cooker and then forget about it until dinner time on Tuesday. Then you only need to open the bag and serve. The second is that the pork will be more tender and juicy than you can imagine. 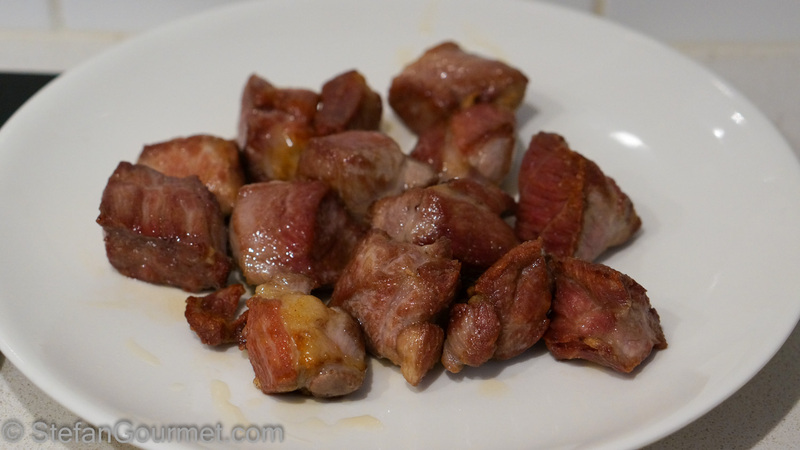 After 48 hours at 57ºC/135ºF the pork is thoroughly pasteurized and absolutely safe to eat, even though it looks pink. If you don’t have sous-vide equipment, you can also prepare this on the stove top or in the oven. Stem and seed the chiles. The weight of chiles after seeding and stemming should be about 18 grams or .6 oz. The official way is to toast them in a skillet, but I prefer to do this in the oven for 5 minutes or so at 150ºC/300ºF. 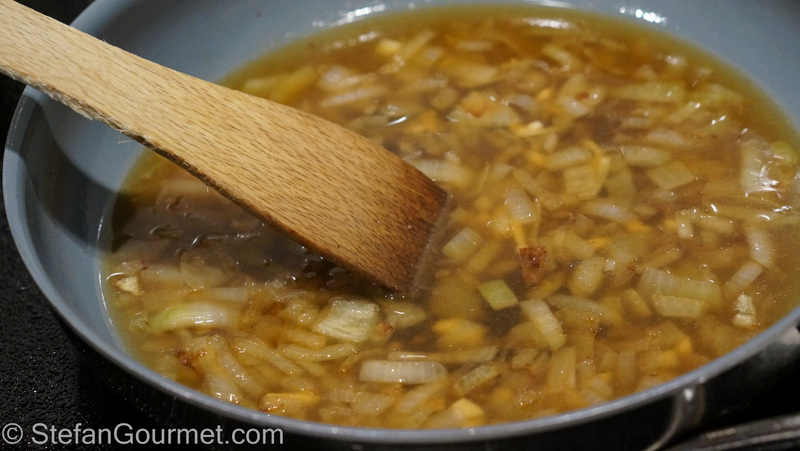 Heat the pork fat in a frying pan and brown the pork over high heat on all sides. 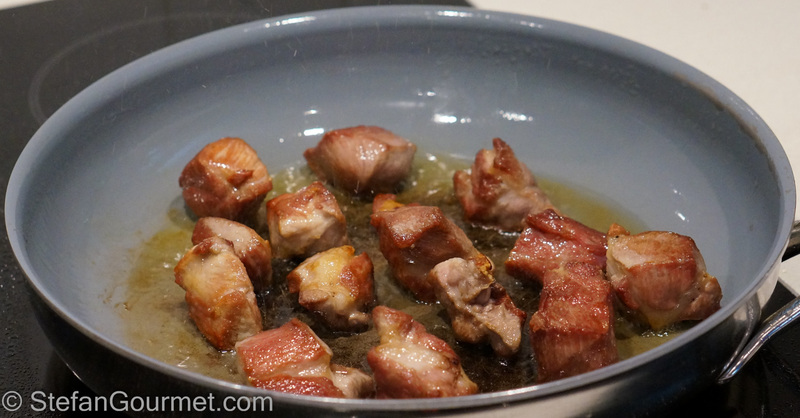 Take the pork out of the frying pan and set aside to cool. 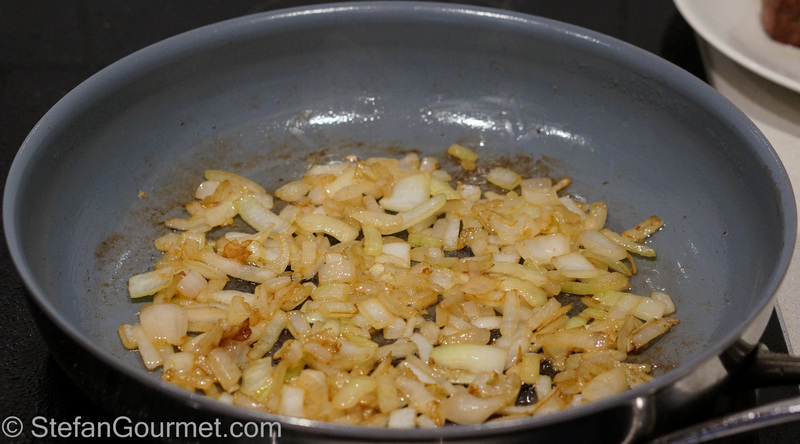 Add the onion to the remaining pork fat and sauté over medium heat until slightly golden. 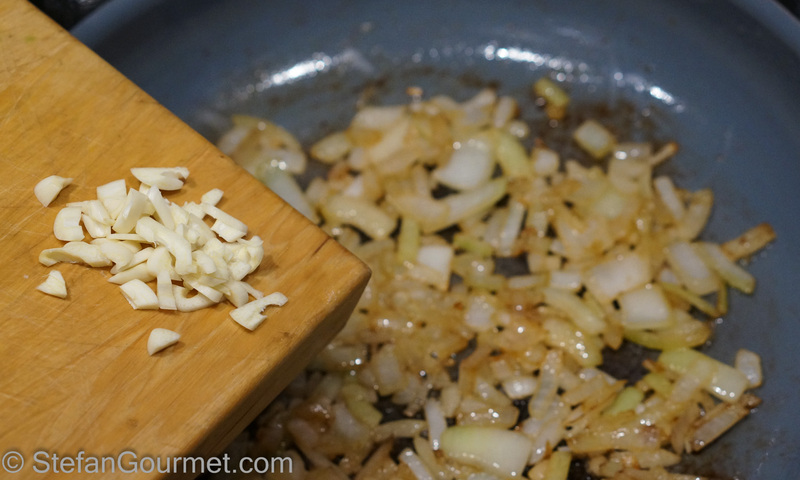 Add the garlic, and sauté for a minute longer. Scrape all the browned bits off the bottom with a wooden spatula. 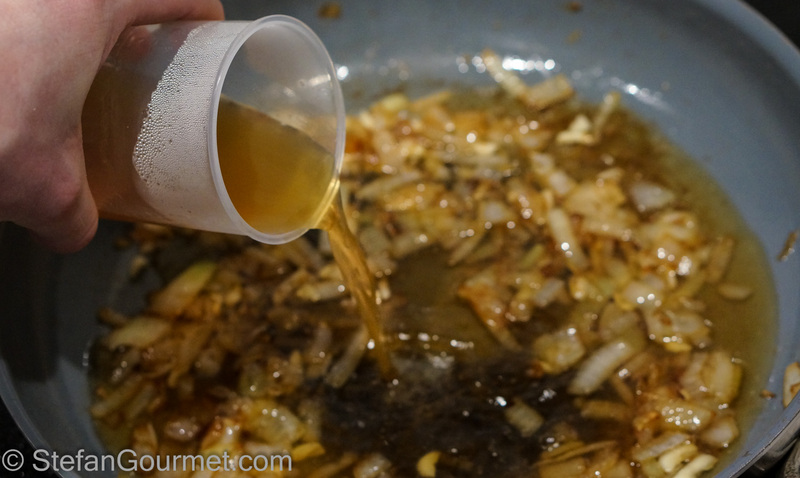 Transfer the onion mixture to the blender. 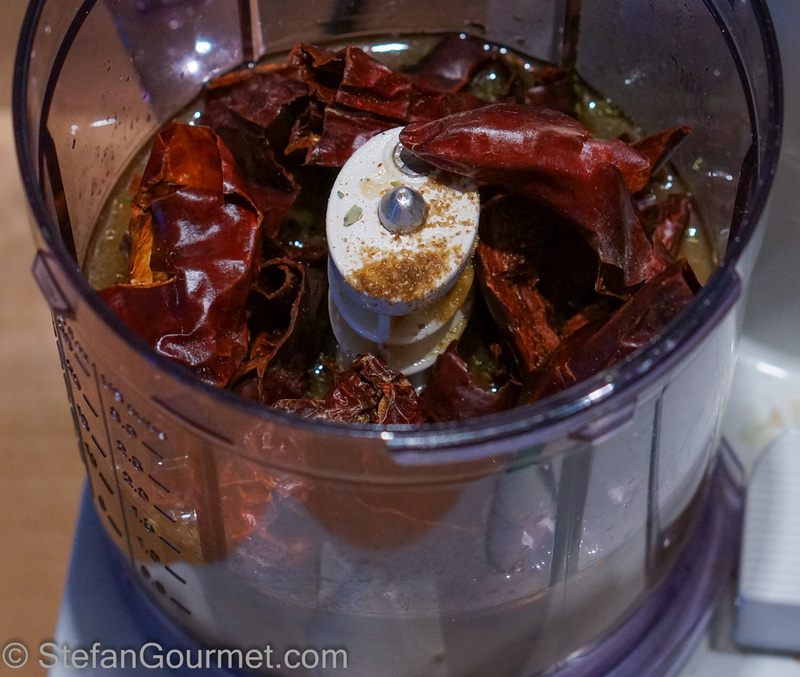 Add the toasted chiles, coriander, oregano, cinnamon, cumin, honey, red wine vinegar, and salt. 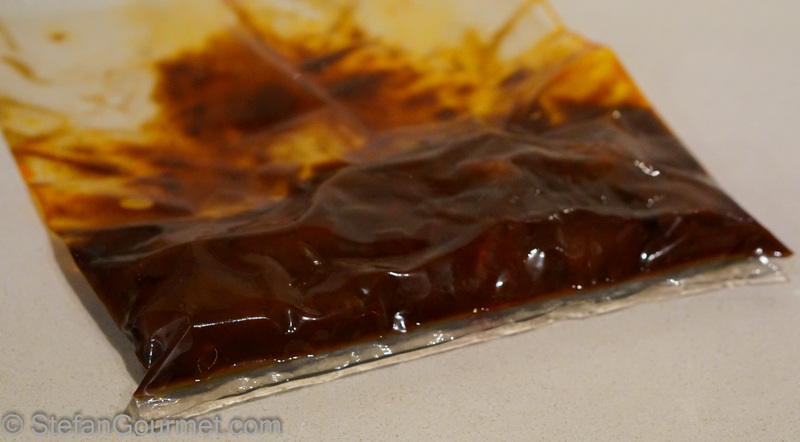 Vacuum seal the pork with the sauce. 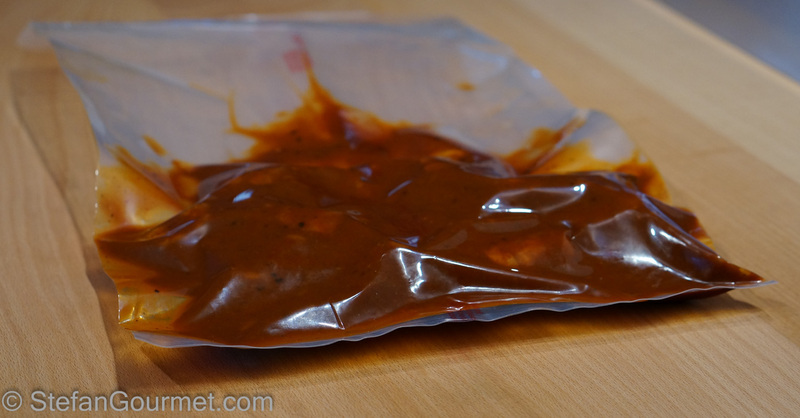 Use a ziploc bag and the water displacement method if you don’t have a chamber vacuum sealer. 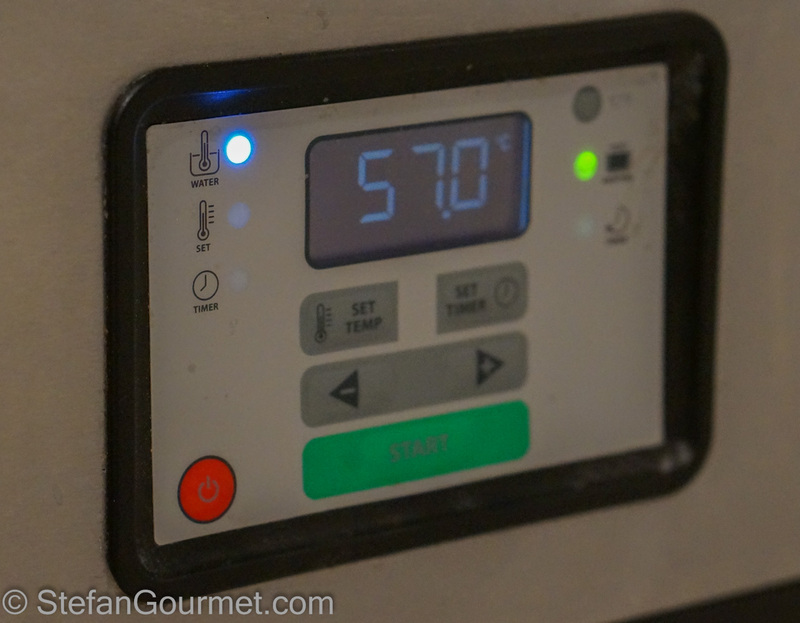 When it is time to serve, take the bag out of the sous-vide cooker. Remember that the meat is only 57ºC/135ºF, so for serving it is better to heat it up for a few minutes over medium heat in a non-stick frying pan, stirring. 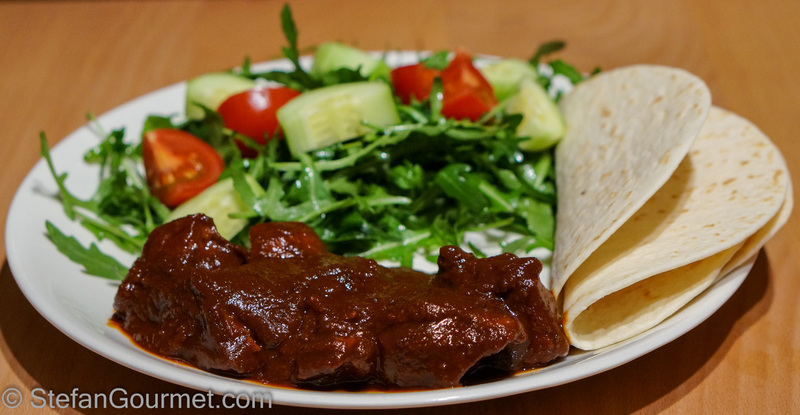 Serve with a salad and warm tortillas. I suppose its not possible to send a sample of that via USB port? Excellent Stefan. Believe it or not, I cooked this a couple of weeks ago and plan to post very soon too. My approach is far less scientific than yours, as you will see in the post. It was pretty wonderful all the same. Those chilis are very refined. I have now tried to do “chili” type recipes with and without tomato, and we tend to prefer with tomato for the added fruitiness. I love these spices, Stefan. I am actually looking out my window at the Sandia mountain range while I read your post! 🙂 Have a great weekend. Thanks, Shanna. What an appropriate view 🙂 You have a great weekend, too! PS The new look of your blog is great… very clean, bright and modern. I like it! Stefan, you always amaze me. You take a rustic, peasant dish and turn it into a pièce de résistance. This looks wonderful. I love the medium cooked pork and can only imagine how tasty this was. I probably should give this a try. Also, the new look of the blog is great. Much more professional looking. Thanks, Richard. 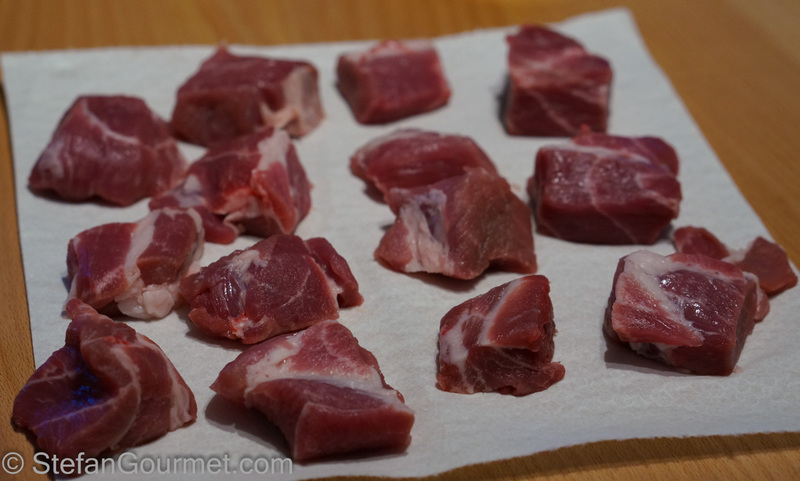 What I like about making stews/braises sous-vide is not only that I can keep the meat medium, but also that there is more consistency. Although oven is slightly more consistent than stovetop, they sometimes still end up too dry. Stephan, looks great. I dont have access to all of those different chiles but I do have some fresh ground New Mexico red hatch chile. 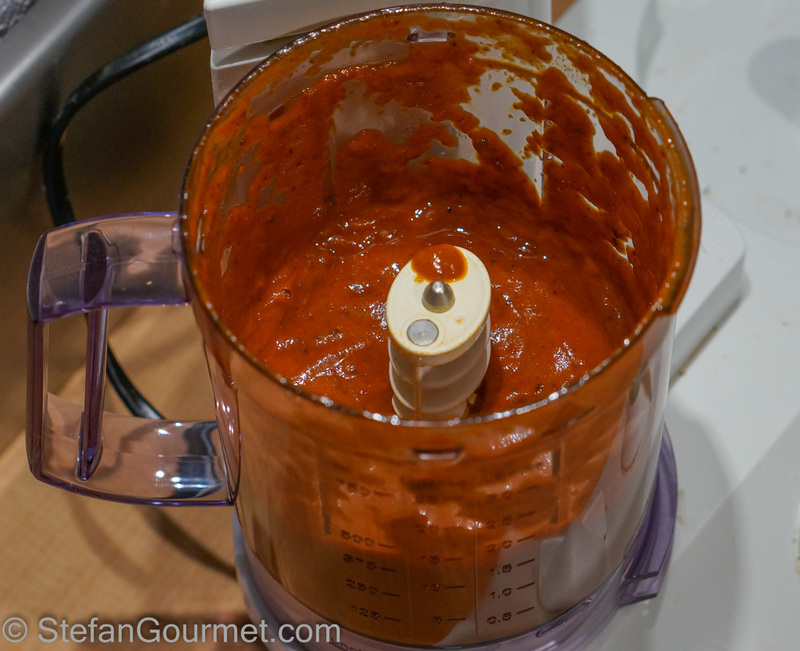 How much would you think to make your sauce should I use? Probably about 1 tablespoon, but it depends on how hot it is and how hot you like it. 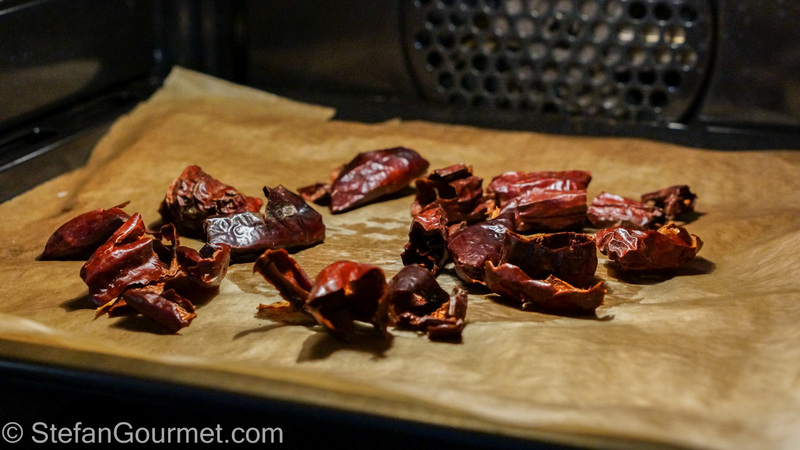 If you can find some different chiles it would be a good idea to use as many different ones as you can find, especially if they are different types (smoky, earthy, fruity). You could also consider some paprika. Thanks Stephan. I only have a food saver vac. 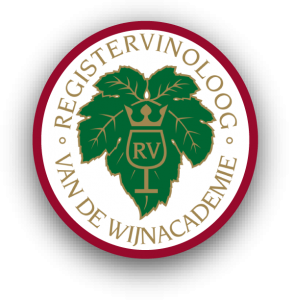 How did you prevent the liquids from extruding under vac? I was thinking of freezing first then sealing. Hi Tim, I used a chamber vacuum sealer. You could use a Ziploc bag and the water displacement method. Before I owned a chamber vacuum sealer, I used to freeze first. 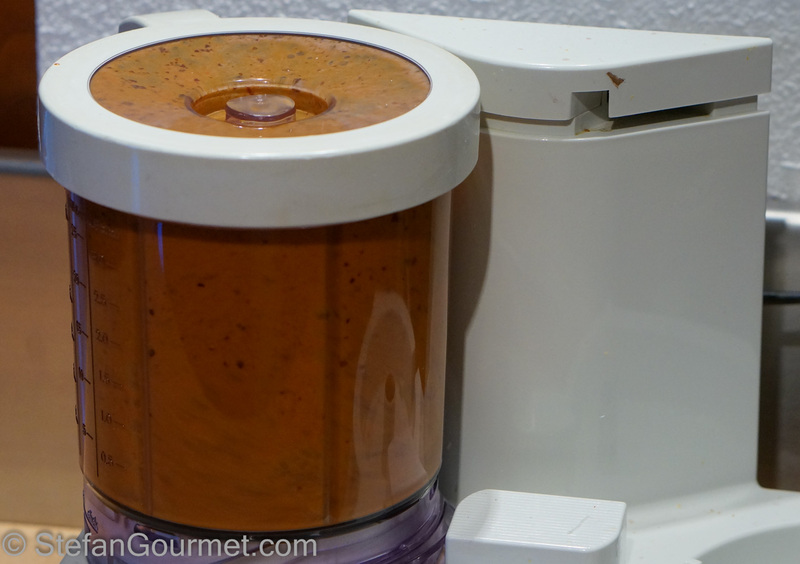 It is best to freeze the sauce only, as meat will deteriorate from freezing and it is not needed.